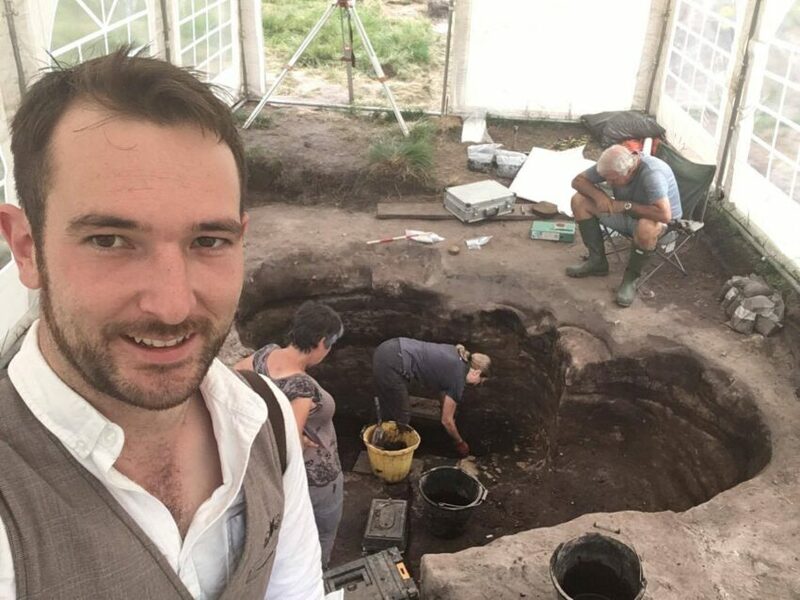 Our Learning and Community Engagement Officer Ryan popped down to the Heath excavations today to see what’s been happening. 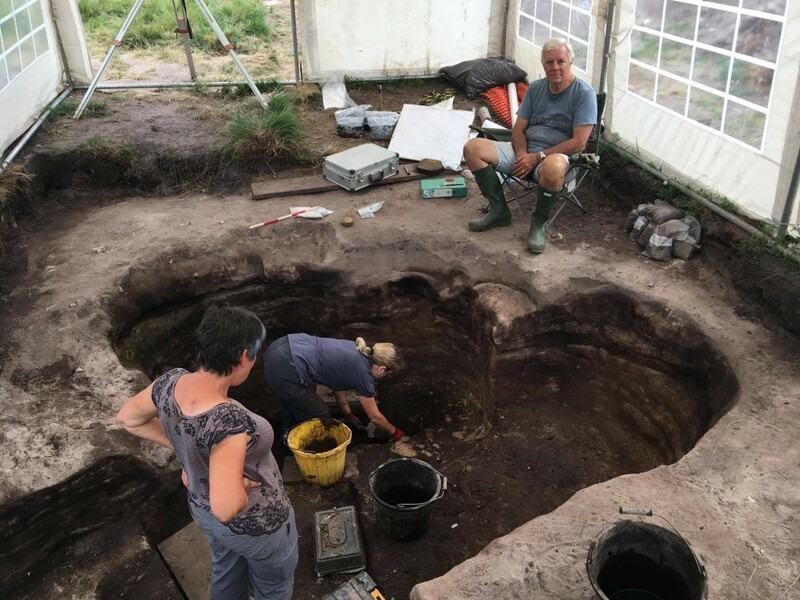 Ryan caught up with George on Barrow 19, where they have just finished excavating the bottom of one of the burial pits. 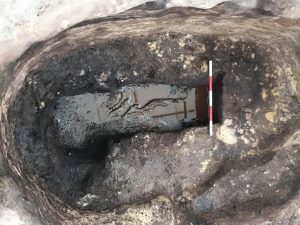 Although no great finds have been uncovered here, they have found what they believe to be the organic remains of what was in the wooden box found at the end of last week. All that remains for them to do on this barrow is to continue to excavate the second burial pit. This is believed to be the largest one known in the whole of the UK. It is earlier in date than the other pit, and contains the vessel which was discovered at the end of last season. We think this is now a pot, rather than a burial urn, but we hope to learn more when we can get it out of the ground. This is now the final week of our dig and diary – don’t forget you can still attend George’s walks at 4.30pm until Saturday, and when you have dig withdrawal you can always come to Petersfield Museum and visit the first urn to be discovered on the Heath which is currently on display!